“This $#@&! Thing Doesn’t Work!” How to Improve Adoption of a New Technology or Process. David Sarnowski is the Customer Experience Manager at HarQen, Inc. He has 18 years of experience across education, coaching, and marketing. He uses his skills, alongside the rest of the HarQen team, to help Fortune 100 and mid-market clients align and accelerate their recruitment processes to deliver the business outcomes that matter to them. Since 2007, HarQen, has been helping Fortune 100 and Mid-Market clients align and accelerate their recruitment processes to deliver the business outcomes that matter to them. And, they’ve had had a lot of fun doing it. HarQen customer experience manager Dave Sarnowski and director of strategic partnerships Sam Goeb enjoy talking beer and issues related to human resources. 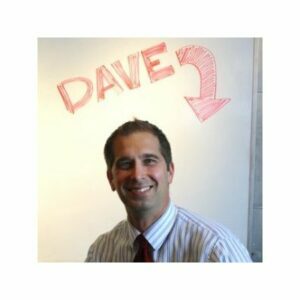 In this 17th episode of their Suds and Staffing show, Sam and Dave interview College Recruiter president and founder Steven Rothberg about a couple of fine India Pale Ales: the first by Minnesota’s Surly Brewing Co. and the second by Milwaukee’s Lakefront Brewery, Inc.